On Tuesday, March 13, the Mayor of Monrovia, Jefferson Koijee, warned that the CDC-led government, which he vigorously campaigned to bring to power, won’t be unsettled by the reports of the media. The Mayor of Monrovia continued his ranting saying that they have only taken over state power after a long twelve (12) years wait and will not be bothered by critical analysis of ills in the Weah Administration by the Media. It is intriguing that the powerful Mayor’s pronouncements came after an unembellished statement from President George Weah’s preferred choice for Deputy Information Minister for Public Affairs, Eugene Fahngon. Mr. Fahngon vowed that the Media in Liberia will remain poor or broke for the next 12 year, inferring that President Weah will win a second term. Fahngon accused the journalism community in Liberia of denting the election campaign of President Weah by tagging him as being “dull” and as well accompanied that description with other derogatory languages. In this regard, the Press Union of Liberia is urging all journalists to remain fearlessly selfless in the discharge of their services to the state and its people. The PUL sees the recent upsurge of collective attacks on the journalism community in Liberia as continuing display of traits of colonial tyrannical anti media and free speech tactics which is by now outdated. It’s used specifically in the case of Public Affairs Minister Designate Fahngon exposes the devilish plans of some in the Weah inner cycle to strangulate the media financially during the time of his rule. These scaring depositions by people who have just recently acquired state power must not coward journalists into self-censorship, the PUL insists. 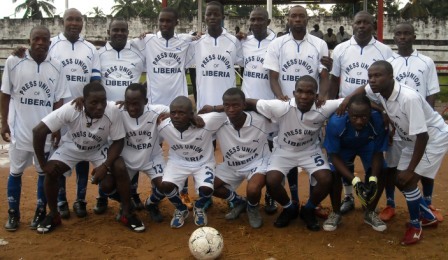 The Union asserts that the media has survived some of the most visual attacks in recent Liberian History and must renew its solidarity in stamping out any reoccurrence of the past. At a time when the Government of Liberia, the Press Union, the United States Aid for International Development (USAID) and other partners are directing efforts and resources towards the improvement of the legal, ethical and commercial operating environment of the media, it is disgusting that Fahngon only planned contribution to this key democratic enabler is financial suffocation. This early show of intolerance must end now in the public service as a clear breakaway from the sporadic talk at the public policy of the immediate past. Other trusted Weah confidants who have sarcastically attacked the media in Liberia recently includes Finance Minister Samuel Tweh and Cecelia Cuffy-Brown of the National Port Authority. Liberia is one of the poorest countries in the world and its journalism must effectively be aimed at supporting poverty alleviation initiatives through the institution of accountability and transparency along every step of the management of the public trust, the Union stresses.